Wreckage of the plane carrying Cardiff City striker Emiliano Sala was found in three parts on the seabed, according to the official report. The AAIB is investigating the crash. Its interim report into what happened said the plane was found "extensively damaged" – the wreckage was held together by electrical and flying control cables, while the engine was disconnected from the cockpit area. The AAIB said it had been unable to establish how much flying pilot Mr Ibbotson had done recently, as his pilot's license and logbook had been lost with the aircraft, Piper Malibu N264DB. Investigators would normally look to establish how many hours a pilot had flown in the preceding 28 and 90 days before a crash. The ratings on Mr Ibbotson's license – for example whether he had an Instrument Rating or Night Rating – had also not been established. A private pilot's license does not allow a pilot to carry passengers for reward. The report states that "the base on which the pass beds were being carried on N264DB has not yet been established, previously, the pilot had carried on the basis of 'cost sharing'. " 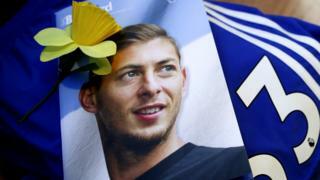 Argentine footballer Sala was killed when the single-engine light aircraft, flown by Mr Ibbotson, crashed near Alderney just two days after he completed his transfer to Cardiff's Premier League side from French club Nantes – for a club record of £ 15m.